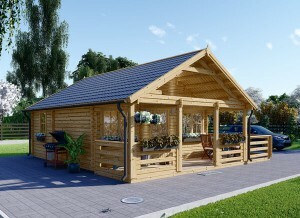 Now that the ground is thawing and the rain is falling, it is time to prepare your log cabin for spring! Although this is the last thing most people want to do on a warm sunny day, it is absolutely necessary. 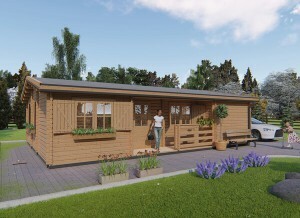 A few years without proper seasonal maintenance and your log cabin may begin to fall apart. Trust us, taking care of problems early is much less painful than letting them fester. 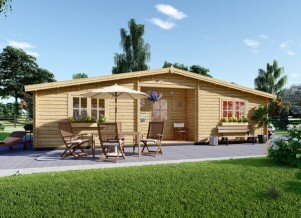 That is why we have put together this list of 7 ways to prepare your log cabin for the upcoming warm weather. This doesn’t have to involve doing anything crazy. All you need to do is take a visual inventory of any issues. Look on the roof for any damaged or lost shingles. This is something you will want to take care of before your local rainy season. Other issues can be found around doors and windows. Caulking and sealants don’t last forever, and may need to be redone once every few years. 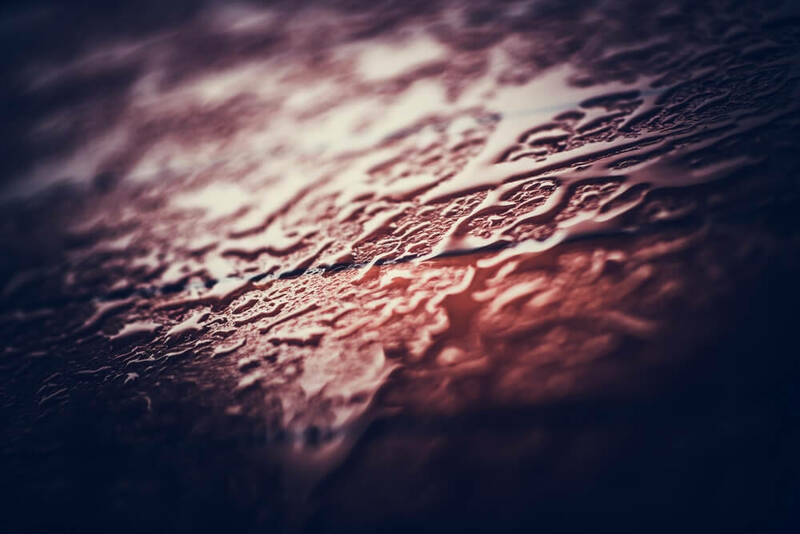 The flashing on windows may become warped over time, and this will need immediate maintenance unless you want insects and moisture inside your log cabin. Another issue around doors and windows involves the wood itself. Sometimes issues can happen at the corners where the logs meet these items. The good news is, many installers or manufacturers will take care of these issues at least 2 years from the purchase date. One final problem you may come across is water pooling between the logs under windows and doors. Be sure to check these areas as wellas the log rails, because they are more prone to rot. 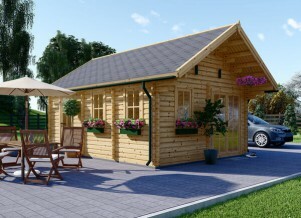 Fortunately, by keeping an eye on your log cabin exterior at least once a year you are being proactive. Now, it’s time to test the finish of your log cabin exterior. Luckily, this is an easy step. All you have to do is get the logs wet in numerous different places. Is the water beading and running off? If so, your stain is still going strong. However, you will need to apply protection this spring if the water pools or sinks inside the wood. Although this is step 3, we recommend washing the exterior after most trees have bloomed. You may want to get all of this over with, but there is a very good reason for waiting. Aside from the nice break, your home will be dirty again after the bloom. Save yourself from having to give your log cabin a second bath and be patient. Once the pollen and dirt have fully accumulated, it’s time to wash. Most times you will not need a pressure washer, unless you want to stain the logs. Simply apply an approved cleaning solution and wash with your hose. It is important not to use anything with a high pH, like bleach. This will damage the wood and keep it from holding the stain. If you find your log cabin wood doesn’t bead and run water, you will need to apply protection. This can be in the form of stains, sealers, or both. A stain that is waterborne acrylic will work best on the logs. Make sure it has a large amount of UV protection and fungicide. After that, you can apply a transparent topcoat. 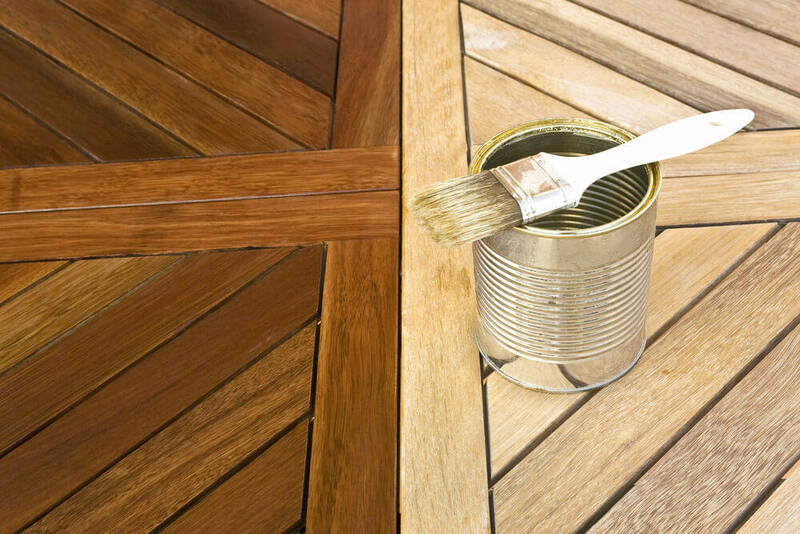 This clear coat will work to protect the stain and preserve it for years to come. Don’t forget to check your log cabin’s gutters and downspouts. Over the winter, leaves, ice, and snow get lodged in your gutters and may stay that way for several weeks to all winter! If this is the case, cleaning clogged gutters is essential before spring’s heavy rains start. If not, the waterfall of rain will get concentrated in a few small areas. This makes it hard for the logs to dry out. Given enough time, mildew and rot are the results. After the harsh winter weather, your plants are probably still looking a bit lifeless. Perfect! 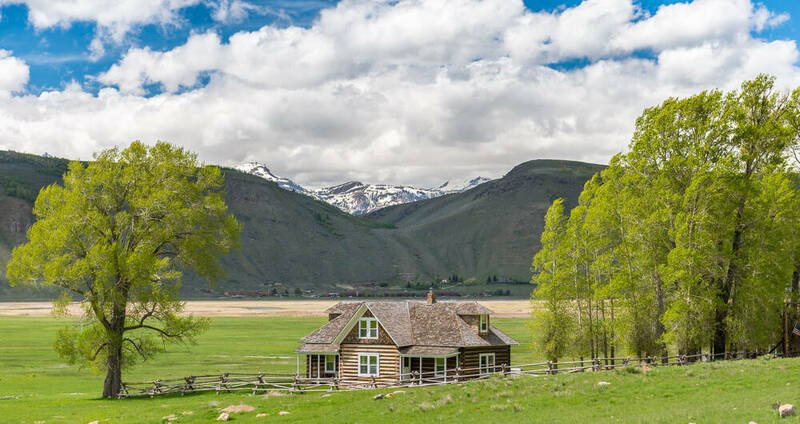 This is the best time to trim your log cabin’s vegetation. It is important to keep plant life away from the walls, roof, and all wooden surfaces in general. When flora consistently sits against wood, moisture can bring on rot and decay. If you planned your landscaping well, this should not be a problem. However, we sometimes get stuck with the former owner’s choices and have to make due. Any limbs over your log cabin should be trimmed back. If you cannot do this yourself, definitely hire someone to do it sooner than later. Springtime usually means thunderstorms and strong gusts of wind, so if a limb would come crashing down this is the time. Since cutting branches can be a dangerous task, make sure you are adequately trained/prepared. If not, you or your home could get injured! Spring is a good time to inspect your HVAC system, if you have one. Some log cabins are strictly bare bones, so this step isn’t necessary. Other log cabins are in climates too cool for air conditioning. The best way to do this is to hire a professional for a free estimate. They will come out and see what and where your HVAC needs repairs. If you haven’t done this in awhile, you should really do it now. 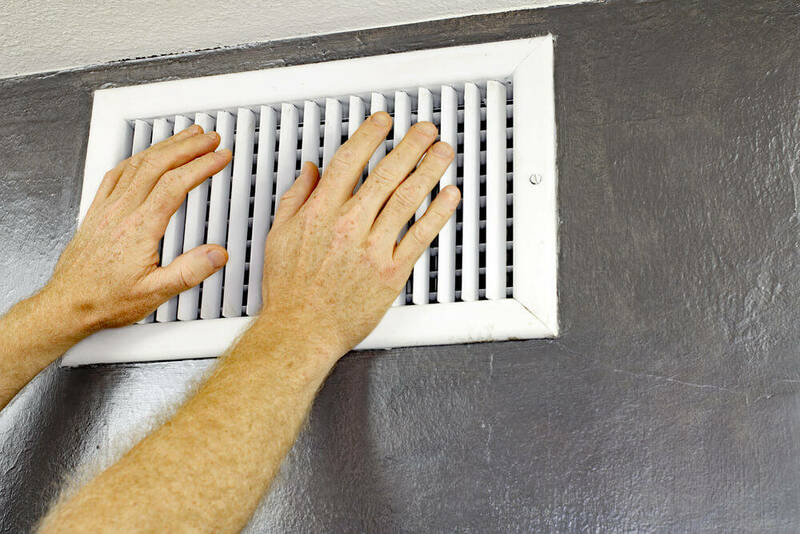 Many times little cracks or holes in the venting steal your cold air before it even reaches you. If your system has duct dampers, change them to summer. Finally, change your filters. Make this the year you stop procrastinating and begin doing routine maintenance on your log cabin. With spring on the horizon, now is the time to start. If you keep putting off log cabin preparations for spring, the result will be rot, mold, and mildew down the road.